At CES 2017 last week we saw plenty of new smartphones launched by world’s top smartphone manufacturer like Samsung, Blackberry, Asus, LG and of course Nokia by making a comeback after a long time in the smartphone market with its Nokia 6 Android smartphone. So, to give you a quick roundup of the top new smartphones launched at CES 2017 last week we have lined up below the top 7 new smartphones unveiled this week at CES 2017. 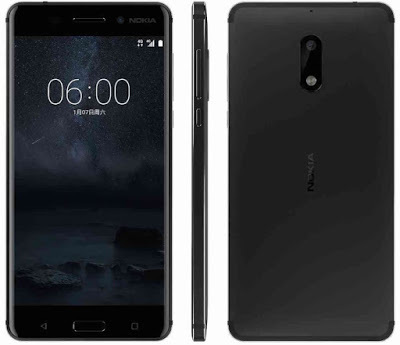 HMD global the company that now owns the rights to the Nokia brand has unveiled its first smartphone the Nokia 6 at CES 2017 which runs on Android Nougat 7.0 out of the box. Unfortunately, there could be a bad news for you if you are not from China and expecting to be available where you live because this phone is a China exclusive and will not be selling out of the China in any other countries. The Nokia 6 runs Android 7.0 Nougat and it sports a 5.5-inch full-HD display with 2.5D Gorilla Glass protection. The smartphone is powered by the Qualcomm Snapdragon 430 SoC coupled with 4GB of RAM and 64GB of internal storage. The Nokia 6 is a dual-SIM smartphone that is backed by a 3000mAh non-removable battery. Nokia 6 unibody which is built using 6000 series aluminum and its home button has an embedded fingerprint scanner. It packs a f/2.0 16-megapixel rear camera with phase detection autofocus and dual-tone flash, as well as an 8-megapixel f/2.0 front camera for selfies. The smartphone also includes Dolby Atmos tech and ‘dual amplifiers’ for louder sound. 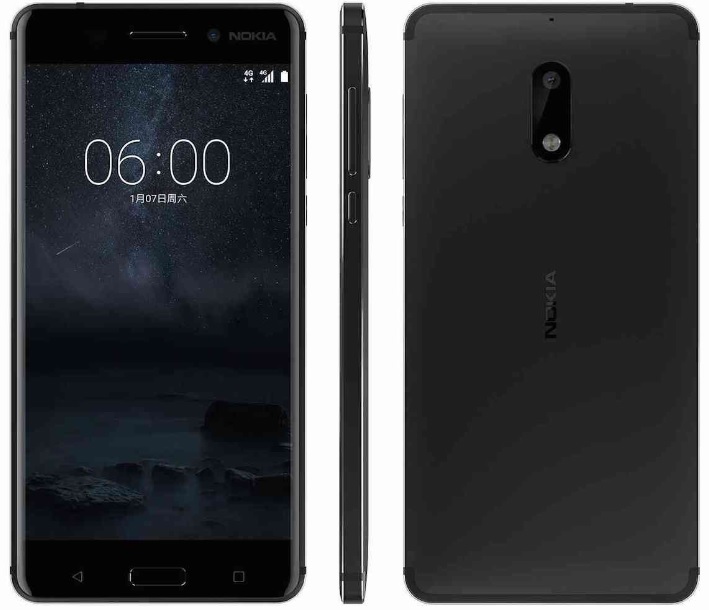 Nokia 6 is a China-exclusive smartphone that will be available only via JD.com at 1699 CNY (roughly Rs. 16,750) in “in early 2017”. 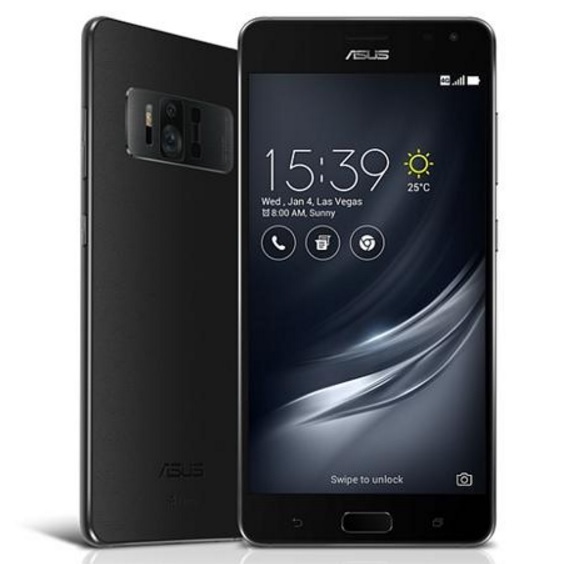 Asus has unveiled its two new smartphones at CES 2017 the Asus ZenFone AR and the Asus ZenFone 3 Zoom which has been specially built for photography enthusiasts. Talking about the Asus ZenFone AR, the smartphones will come equipped with Google’s AR and VR technologies that will allow a different visualization of space through a smartphone, analyzing distances and most notably focusing on the concept of augmented reality. It will come powered with the Snapdragon 821 processor plus coupled with 8 GB of RAM which also makes Asus ZenFone AR world’s first smartphone, to have a massive 8GB of RAM and third to have a Snapdragon 821 processor after Google Pixel and OnePlus 3T, it also includes a Tri-Cam system. 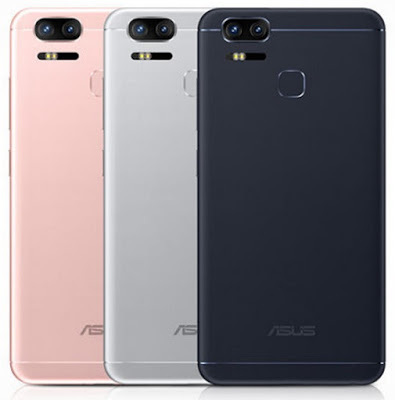 ZenFone AR features three camera setup on the rear first one is 23 MP main camera, second one is a motion tracking camera and the third one is a depth-sensing camera. It features a 5.7-inch WQHD Super AMOLED display with a five magnet speaker on the device. ZenFone 3 Zoom on the other hand, said to be the “thinnest and lightest” smartphone featuring a 5000mAh battery by Asus, but it is not as thick as the Moto Z is, which is only 5.2mm thick. ZenFone 3 Zoom sports a 5.5-inch full-HD (1080×1920 pixels) AMOLED display with Corning Gorilla Glass 5 and is powered by a Qualcomm Snapdragon 635 processor. The smartphone features a dual rear camera setup, on the rear a 12-megapixel camera with Sony IMX362 sensor and a f/1.7 aperture, and the other a 12-megapixel rear camera featuring 2.3x optical zoom – allowing for a total 12x zoom. It also features a TriTech+ autofocus system like the ZenFone AR, dual-PDAF, 4-axis OIS, and 3-axis EIS. At the front, the ZenFone 3 Zoom packs a 13-megapixel camera with a Sony IMX214 sensor, a f/2.0 aperture, and a screen flash feature. The camera on the ZenFone 3 Zoom comes with SuperPixel technology that will provide it 2.5x more light sensitivity than the iPhone 7 Plus, and 10x more than an average smartphone. The large battery on the device is said to last for up to 6.4 hours of 4K UHD video capture on one charge. Asus ZenFone 3 Zoom comes with dual SIM (GSM and GSM) support that accepts Nano-SIM on both. Connectivity options include Wi-Fi, GPS, Bluetooth, 3G and 4G (with support for Band 40 used by some LTE networks in India). Sensors on the phone include Proximity sensor, Accelerometer, Ambient light sensor and Gyroscope. Asus ZenFone AR is sad to be available in Q2 of 2017, no pricing details have been made available yet. On the other hand for the Asus ZenFone 3 Zoom, we definitely have some information regarding its pricing and availability. According to the latest report, Asus ZenFone AR will be available for purchase from Q1 2017 and its 128GB with 4GB of RAM variant will cost you about CNY 3,699 (roughly Rs. 36,400) around $533 USD. At CES 2017 BlackBerry unveiled its long-awaited smartphone “Mercury”. The Mercury smartphone will be manufactured by TCL Alcatel’s parent company. According to the TCL, Mercury will be the most secure smartphone ever made. It will sport a qwerty keyboard along with the 4.5-inch Full HD IPS LCD Capacitive touchscreen with a resolution of 1620 x 1080 pixels at a pixel density of 420 pixels per inch. The display will not include any type of glass protection from the scratches on the screen like gorilla glass etc. The smartphone will be powered by a 2 GHz Octa-core Qualcomm Snapdragon 625 processor coupled with 3 GB of RAM. The Blackberry Mercury will come only with 32 GB of internal storage with no external micro SD card support to expand the storage. It will run on Android Nougat 7.0 OS out of the box and will pack a 3400 mAh battery. Connectivity options on the Blackberry Mercury include GPS, HotSpot, Wifi and Bluetooth. 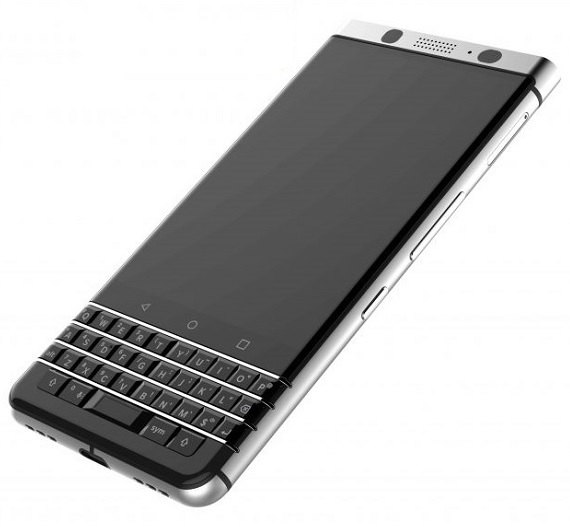 Blackberry Mercury will sport an 18 MP rear camera and a 8 MP front-facing camera for taking the selfies. There are no details available as of now regarding the availability of the Blackberry Mercury, but we do have some info regarding its pricing based on various leaks and rumors. The Blackberry Mercury is expected to cost nearly about £275 (Around Rs. 22,800 INR) which seems to be close enough to the price of BlackBerry DTEK50, but yes, we are still not sure how much it will actually cost after going on the sale. The Honor 6X was first launched in China back in October 2016. At CES 2017 Huawei finally launched the Honor 6X to the international market. The Honor 6X sports a 5.5-inch (1080×1920 pixels) full-HD IPS display with 2.5D curved glass protection. It is powered by a Kirin 655 octa-core (4 cores at 2.1GHz + 4 cores at 1.7GHz) SoC. The smartphone comes with three different RAM storage variants with 3GB RAM/ 32GB inbuilt storage, 4GB RAM/ 32GB storage, and 4GB RAM/ 64GB storage. It features hybrid dual-Nano-SIM card slots where on the second SIM card slot you can use a microSD card (up to 128GB) to expand the storage on the device. As its main highlight, the Honor 6X features a dual-camera setup first one is a 12-megapixel sensor that supports PDAF and a 2-megapixel camera sensor just below it. It also features an 8-megapixel front came for taking the selfies. 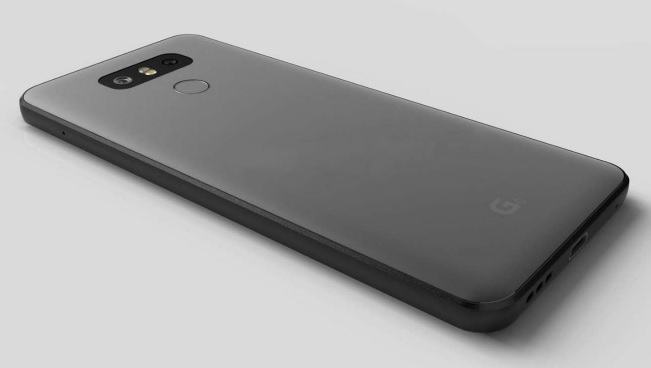 It also sports a fingerprint sensor just below the dual-camera setup on the back, which according to the company can unlock the smartphone in just 0.3 seconds. The Honor 6X connectivity options include 4G VoLTE, Bluetooth 4.1, Wi-Fi 802.11 b/g/n, and GPS/ A-GPS. The device is fitted with a 3340mAh battery with fast charging support. 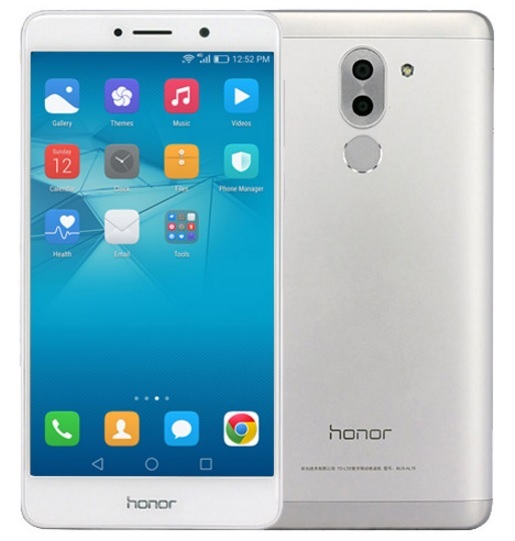 The new Honor 6X smartphone measures 150.9×72.6×8.2mm and weighs 162 grams. In India, The Honor 6X will be available exclusively on Amazon India website and it will go on sale starting January 24, 2017, when the company is set to launch the Honor 6X at a launch event in New Delhi. The Honor 6X 3GB RAM/ 32GB storage variant will cost you about CNY 999 (roughly Rs. 9,900), the 4GB RAM/ 32GB storage variant will cost you about CNY 1,299 (roughly Rs. 12,900), and the last the 4GB RAM/ 64GB storage variant will cost about CNY 1,599 (roughly Rs. 15,800). 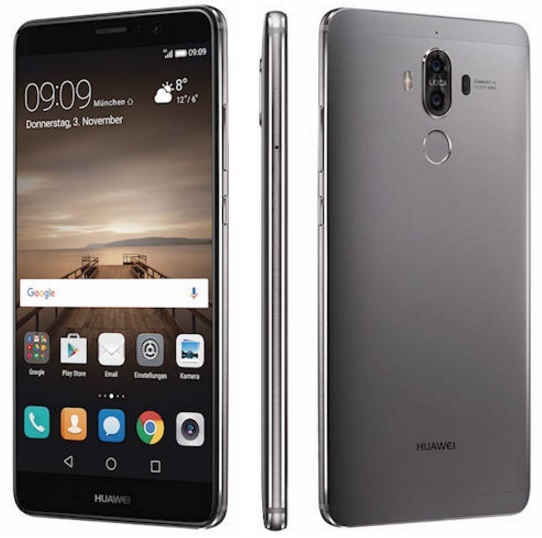 The Huawei Mate 9 was first launched in November 2016. The phone comes with a 5.9-inch touchscreen display with a resolution of 1080 pixels by 1920 pixels. The Huawei Mate 9 is powered by 1.8GHz octa-core HiSilicon Kirin 960 processor coupled with 4GB of RAM. The phone comes with 64GB of internal storage and can be expanded up to 256GB via a microSD card. Talking about the cameras, the Huawei Mate 9 packs a 20-megapixel camera on the rear and an 8-megapixel front shooter for selfies. The Huawei Mate 9 runs Android Nougat 7.0 out of the box and it packs a 4000mAh non-removable battery. It measures 156.90 x 78.90 x 7.90 thickness and weighs 190.00 grams. The Huawei Mate 9 comes dual GSM SIM support that accepts Nano-SIM on both slots. Connectivity options include Wi-Fi, GPS, Bluetooth, NFC, 3G and 4G (with support for Band 40 used by some LTE networks in India). Sensors on the phone include Compass Magnetometer, Proximity sensor, Accelerometer, Ambient light sensor and Gyroscope. Huawei Mate 9 is currently available for purchase in the U.S. only because Huawei has launched this device only in America for now. 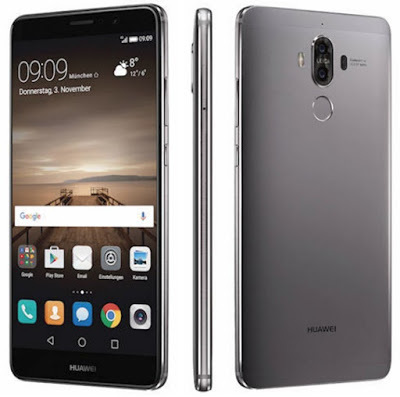 In America, Huawei Mate 9 is currently selling at a price tag of $599 on several well-known online retailers including Jet.com, Amazon, Best Buy, and Newegg. The things we know so far about LG’s upcoming device is that the LG seems to be busy working on the successor of G5, the LG G6. As we said we do not have much info about LG G6 specs but definitely, we do have some short of info in terms of the device specs. The latest news that we are getting about LG G6 is that LG is ditching the modular design of the G5. LG G6 will run on Android Nougat 7.0 OS out of the box powered by a Qualcomm Snapdragon 830 processor coupled with 6GB of RAM. It will feature a 5.3 inches IPS LCD capacitive touchscreen display with a Resolution1440 x 2560 pixels (554 ppi pixel density). The glass on the display will come with Corning Gorilla Glass 5 protection. It will a Non-removable Li-Ion battery on the back, power is not known. LG G6 will sport dual16 MP (29mm, f/1.8) + 16 MP (12mm, f/1.8) cameras on the rear with laser autofocus, OIS (3-axis), and LED flash. On the front, the LG G6 will sport a 12 MP front shooter camera for taking the selfies. The device will include all the major connectivity options and sensors including Fingerprint scanner, Wi-Fi, Bluetooth V5.0 (rear-mounted), accelerometer, gyro, proximity, compass, barometer, color spectrum. It will come with hybrid dual-Nano-SIM card slots where on the second SIM card slot you can use a microSD card (up to 128GB) to expand the storage on the device. LG G6 will be available in two different storage variants 64GB and 128GB coupled with 6GB of RAM on both. LG didn’t launch G6 at CES 2017, it seems, LG will likely launch LG G6 at MWC at the end of March 2017 in Barcelona. We expect it to be priced in between $600 to $700. What you think about all theses devices announced at CES 2017, which one has attracted you the most? you can share your thoughts with us by leaving your comments below.